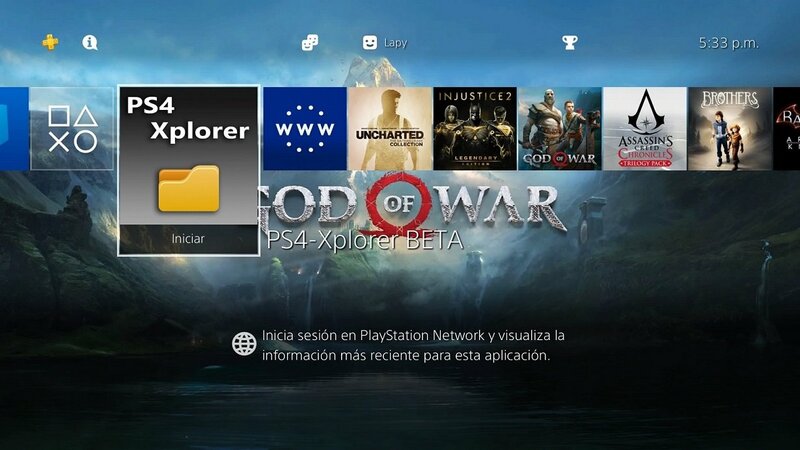 change the name to PS4-Xplorer. black list the folder "/dev" and "mnt/sandbox/pfsmnt/" to avoid problems. The options in these folders will not be opened. mark in green the folders towards the usb to facilitate the way to the less advanced users. shortcut to usb0 with Left DPad and to usb1 with Right DPad. support to .xml files as flat text. show the file size in Kb, Mb or Gb. prevent the application from freezing when a cut/copy/paste error occurs. initial release with Spanish and English translation.